All right all you Star Wars fans, are you ready to have your head holes blown? There are many fan theories out there right now in regards to the Force Awakens. What’s really going on with Kylo Ren? Who is Snoke? What happened to Luke? 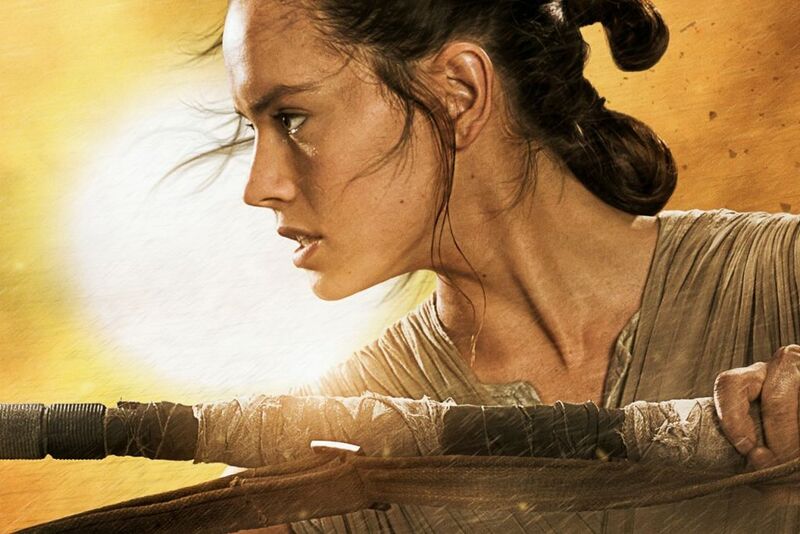 What is Rey’s origin? Many different thoughts, some plausible and entertaining while others… not so much. Warning this post may does contain spoilers. There are many different fan theories going around right now about the new Star Wars movie and I myself am helping perpetuate some of them. There is one, however; that I find to be a little too absurd. That is the fan theory about Rey’s Origin and that she is actually a reincarnated Anakin. That seems a little too far-fetched and a little too dependent on the idea that Anakin was originally born of virgin birth. What I think happened is a little bit simpler and relies on typical plot devices found in movies. It is shown that these order of stormtroopers are no longer clones but abducted children conditioned to take orders. This is shown in the very disappointing scene where they tell Captain Phasma to lower the shields and she does so without a fight. It is possible she did not resist because she has been conditioned to follow orders ; a move that would be risky if she would actually encounter people on the battlefield as a normal trooper would. Since she is a captain she is far enough away to not be influenced by the enemy. But this is were I reference a literary principal to support this (sure Brittany hears me talk about this more than she would like while watching TV or movies), Chekov’s gun. Why would you have such a unique and stand out character that contributes nothing to the story? If this movie had been done by George Lucas I could understand wanting to put in a character in chrome because you simply can, but since this was done with more finesse and truer to the original inspiration of the movies, I believe that there will be a reveal in which Captain Phasma is Ray’s mother. WHAT? NO, That’s Not True! THAT’S IMPOSSIBLE! Oh, she’s also Luke’s wife/baby mama. Yup. That’s my fan theory. She was abducted and is now under the control of the First Order, but not before stashing Rey on Jakku to keep her safe. This would also explain the flashbacks Rey had, not of Anakin’s life but of hers and her force lineage. But Brian, wait, you said Luke’s wife? That’s right reader. Some of you might be familiar with the phrase I mentioned earlier, “Chekov’s Gun”. This literary device essentially states, if it is mentioned there is a gun on a wall in a scene, that gun must be used or there is no point in mentioning it. Meaning, Captain Phasma should be playing a much bigger role than just hanging on the wall. In the story, they do not state whether Troopers are promoted or assigned but it would not be too far of a stretch to assume they are assigned their position. The First Order could have positioned here as a Captain as a deterrent incase Luke ever tried to infiltrate or attack the order either out of boredom or to get his nephew back. A shocking reveal that his wife was alive and positioned within the First Order would very possibly slow his momentum, giving Kylo Ren, Snoke/Plagueis, or whomever the slightest advantage. I’ve got you now, Plagueis… Wait, what? Anyway, put this half baked idea in your brain and let it bake. I don’t have much to base it on other than literary devices but it’s something fun to think about and better than the Reincarnation of Anikin Theory. What are your thoughts? Leave comments here or follow the links to my social media below and let me know what you think. I like the theory that Rey is a Kenobi. In fact, Obi-Wan’s granddaughter. I’m very anxious to see where they take this.